Cowie is a village in the Stirling council area of Scotland. It lies on the B9124 road approximately 4 miles south-east of Stirling and about a mile north of the A9 road. The village is well located for transport links to include a nearby junction with the M9 motorway. The United Kingdom Census 2001 recorded the population as 2387. Cowie was formerly a pit village and stone quarrying was carried on in the surrounds. It is now the site of “Caberboard” factory manufacturing engineered wood products and other light industries. Recent years have seen significant new housing developments in the village for commuters. 433 new houses are to be constructed nearby by Taylor Wimpey. The subject is located on the eastern side of Main Street at its junction with Mount Oliphant. It is located within a short distance of both a primary school and local community centre. The subjects comprise a detached 1.5 storey property providing café/takeaway at ground floor with spate owners accommodation forming part of the ground floor and attic floor. The café provides front seating and serving area incorporating a modern range with underground extraction system. The floor is overlaid in a terrazzo and vinyl covering whilst the walls are partly overlaid in ceramic tile with the remainder being plastered and painted. To the rear of the property is a food preparation area, store and w.c. The food preparation area benefits from stainless steel appliances and stainless steel wash basins together with a walk in chill. A CCTV and intruder alarm system have been installed. Externally the property benefits from a patio area and parking area. The owners accommodation benefits from separate ground floor access and provides three bedrooms, open plan living kitchen and bathroom. 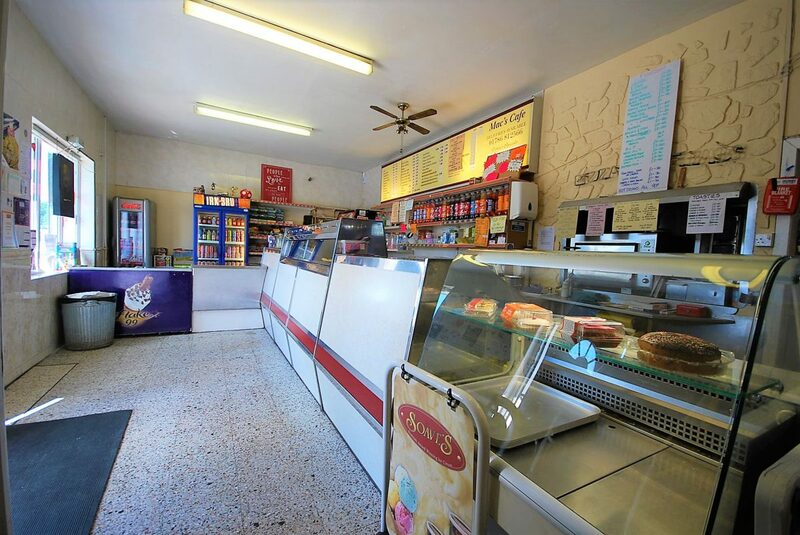 The business has been run by the same family for approximately 50 years and trades as ‘Macs Café’. The establishment is highly regarded by local residents and as such has shown good turnover and profit margins over the past decades. The business is for sale to the current owners wish to retire from the industry. WE believe that there is good scope to increase turnover and profit margins. The fit out is to a high and modern standard and is ready for immediate occupation. We are happy to discuss the accounting information with seriously interested parties. A fixed price of £215,000 is sought for the Heritable (freehold) interest and will include all inventory, trade fixtures and fittings and goodwill. The subjects can qualify for 100% rates relief for 2017/2018 (subject to application). 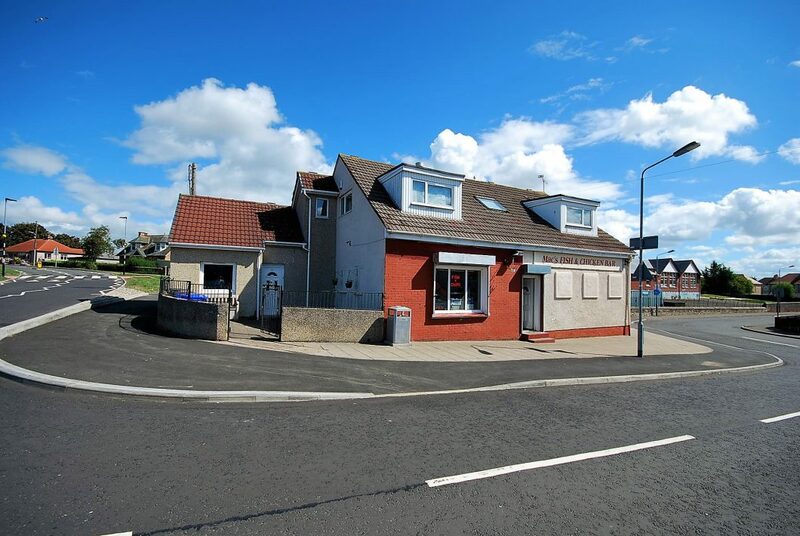 The subjects benefit from appropriate planning permission for their existing use as a hot food takeaway. All queries in relation to planning permission and use class of the subjects should be addressed to Falkirk Council Planning Department. A closing date may be set and all interested parties should make a note of interest at the offices of the Sole Agent. We reserve the right to sell the property without setting a closing date and we are not obliged to accept the highest or indeed any offer for the sale of the property. G – A copy of an EPC is available upon request.